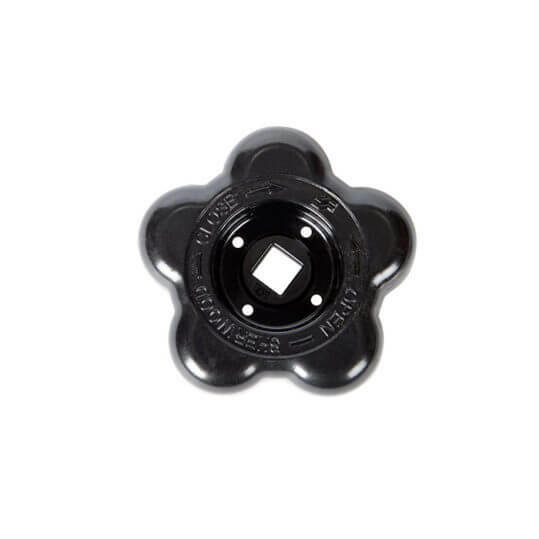 New Lexan Sherwood GV Valve handwheel. Original equipment replacement wheel, high quality with fit and function of the original. Tough Lexan construction. Square hole socket. 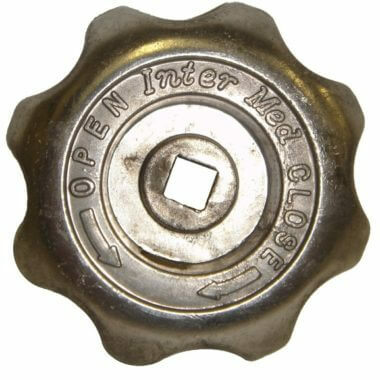 Open/close marks and turn arrows on wheel top for ease of use. 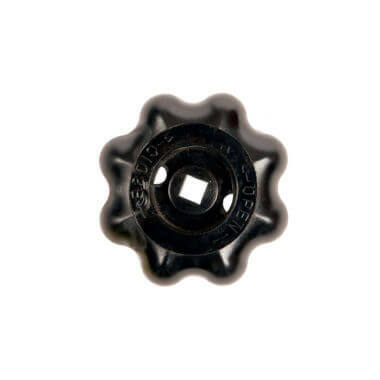 Nut for attaching the wheel to the valve is not included but is available separately here. Fit guaranteed for Sherwood GV valves only. 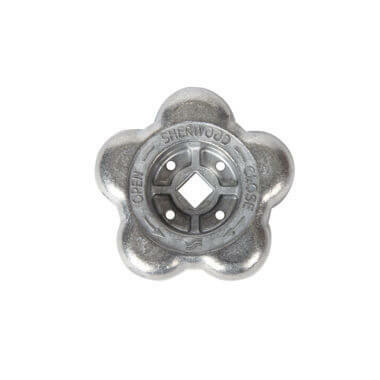 For other Sherwood valve wheels, please see all others available on the handwheel page.